During the Victorian era, all the laws in England were passed by the parliament. The parliament had the sole authority to discuss laws, create laws and also alter existing laws. The current issues affecting the society, and economy were discussed with the king. Then the voting rights were exercised by the members of the parliament. 1. Classified things as rights and wrongs. 3. Separated the poor from the rich. It was due to the laws in the Victorian era that the society of England had different class strata. But in spite of the stringency, we have seen that the laws have been moulded by the society. This has been done by either the direct consent of the people or in an indirect way, by the actions of the citizens. Although there has been a dispute, the Reform Acts were said to have started in the Victorian Era and it expanded English citizen’s representation in the right to vote. More people voting means the representation by growing population of England was getting fairer. Later on, instead of the privilege of high society, voting became a function of the right of citizenship. There were three Reform Acts that were passed during the Victorian Era. Due to industrialisation, England’s population was rapidly increasing and there was a great need for more representation in Parliament. First Reform Act was passed to guarantee the voting right to any man whose own house was worth at least 10 lira. A total of 217,000 voters were added due to the enactment of this law. As of then, there already was a group of 435,000 voters in Parliament. Population growth continued so English parliament decided to expand the right to vote further to many workmen and others. 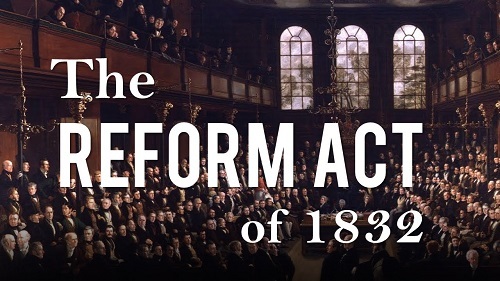 The Second Reform Act was enacting in 1867. A total of 1,000,000 more people were added to the electorate, and caused Parliament’s members to double to almost 2,000,000 people! Theories evolved whether this great number of voters would devastate the power of the queen resulting in demolishing well set English culture and democracy will rise. In 1884, along with the Redistribution Act of 1885, Parliament’s electorate took the huge step to include almost all male agricultural workers in the franchise. This was the third and Final Reform Act of 1884. Unfortunately, Victorian Era women were not given the right to vote. A few years later, Act of 1918 gave women over age thirty the right to vote. Voting rights were equalized for both women and men only by 1928’s Equal Franchisement Act. This was quite a significant law that was passed during the Victorian era. The Corn Laws consisted of a series of laws. They were enacted during the year 1815. The parliament became concerned about the importation of corn from foreign countries. The law was passed so that the price of corn remained high at a time when the French wars were getting terminated. Corn became a very expensive food item. This caused the prices of other food items to shoot up. The goods market suffered depression because people were engaged in spending all their money on food. In reality, these laws passed by parliament were only beneficial to the parliament members since most of them were land owners. They wanted to earn more profit from increased corn prices and not having to buy corn which they can cultivate on surplus land and sell it themselves. However, since most of old England lived in cities, they had no land to grow the vegetable and relied on buying goods. This is why parliamentary officials were unwilling to revise the law. In 1828, Duke of Wellington’s government revised the Corn Laws and they made a sliding scale for the weight-to-price of the corn. This revision still did not help the residents of old England since the price was still high. Prime Minister Earl Grey passed the Poor Laws in 1833 to look at the conditions of the working and the poor classes. These were provisions of the poor law. The Victorian era had a wide gap between the poor, middle, and upper class. The reason was the laws that seemed to benefit the rich, hurt the middle, working class and the poor. Prime Minister Earl Grey, wanting to control the gap with growing middle and lower classes, enacted this law. However, being from the upper class, he was unable to completely understand the living condition of the poor. Before the Poor Law Amendment, reports about the conditions of the workhouses across England were asked. As one would expect, the reports given by the workhouse officials were not honest. The reason could be two fold. Maybe they didn’t care or didn’t want the poor to get help from the government. So, they asked for rules to be harsher for their houses. Prime Minister Earl Grey could have enacted the laws differently if he knew the reality of the situation for the growing middle class. As per English common law, women did not have any right to dispose of property or to make a will after marriage without the consent of their husband. Only widows could claim any property for themselves. Most of the property of the woman before marriage (obtained from the father), and after the ceremony, the husband got this property. This was enforced by the Common Law Doctrine of Coverture. If you compare the rights of a married and unmarried woman, the unmarried woman had much more rights than the married woman had. Unmarried women could buy and sell property, make wills, and have total control over all things they owned. Also since many people realised that only a minority of women got married for love, the question was why get married at all? The reason of marriage for many women, in spite having to give up their property, inheritance, and freedom, was to marry into a higher social status. A woman wanting to divorce her husband was looked down upon; also they would not be given any of their property owned before marriage. So, a majority of widows, who were left with only 1/3 of their husband’s property, preferred to remarry to have protection under the law for their children. Prime Minister William Gladstone, in 1882, passed Married Women’s Property Rights Act. This gave married woman equal rights to the average unmarried woman. Although they did not have equal rights as their husbands, this was nevertheless a huge progress for the married woman. Under the Married Women’s Property Act, a married woman could keep their inheritance and property post marriage, but still needed the consent of her husband in buying or selling of the property.